How to Easily Convert Old Posts into Gutenberg Blocks, Plus a Video! Home > The Blog about Blogging > WordPress > How to Easily Convert Old Posts into Gutenberg Blocks + Video! 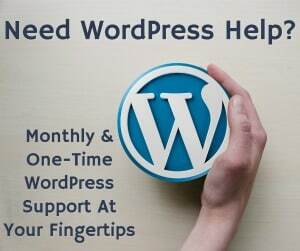 Well, WordPress 5.0 with Gutenberg was shipped out to the masses on December 6th, 2018 and we have been getting a lot of questions about it. And before you ask, yes, this post is created in Gutenberg! 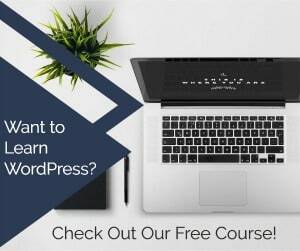 Rightfully so, it’s a huge change in how you use and work inside of WordPress. 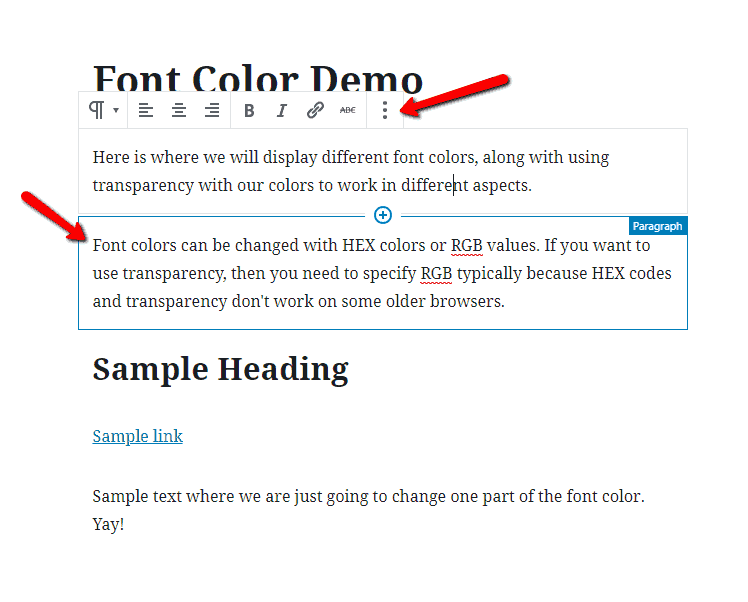 We have been testing and using Gutenberg for some time, so it’s not that hard for us to move between the Classic editor and the new Gutenberg editor. I know that’s not the same for others. Need an overview of Gutenberg? Check out our video! 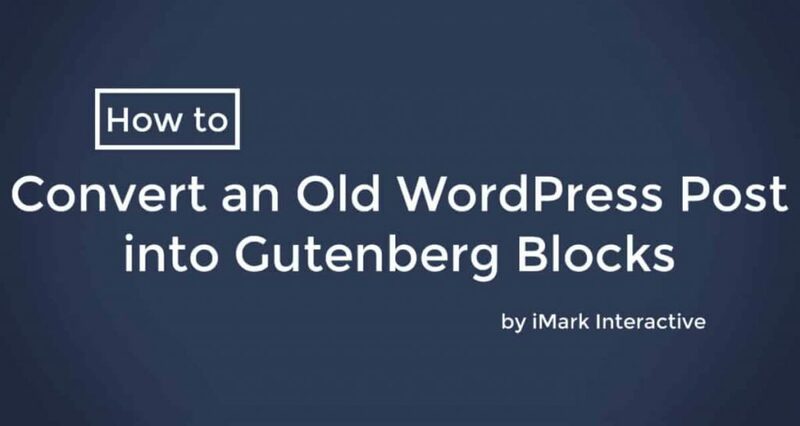 One of the top questions we have been getting is on how you convert an old WordPress post or page into Gutenberg blocks. We figured we would write this one out for you, but we also created a video (yay!). Luckily for you, this process is fairly easy in Gutenberg, so you shouldn’t have any issue. 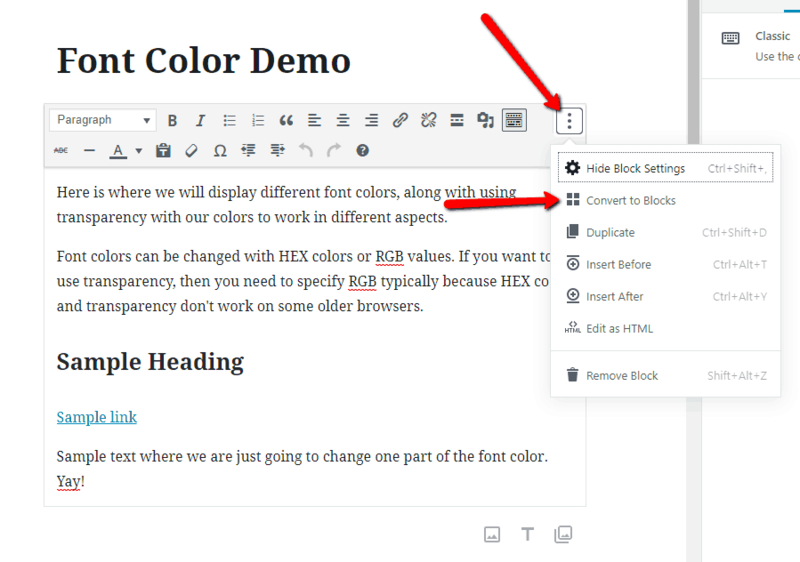 We are going to show you the simple way to convert the old Classic editor posts into the Gutenberg blocks. It really only requires you to go back and edit any old post/page. An important note here, if you use any page builder like Divi, Elementor, Beaver Builder, etc., this does not apply. 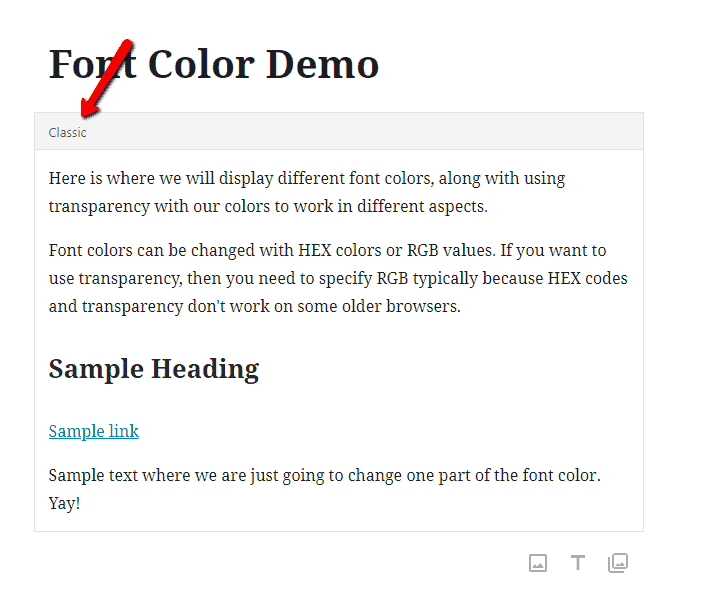 This is for posts and pages that were created inside of the default WordPress editor (we will call classic). 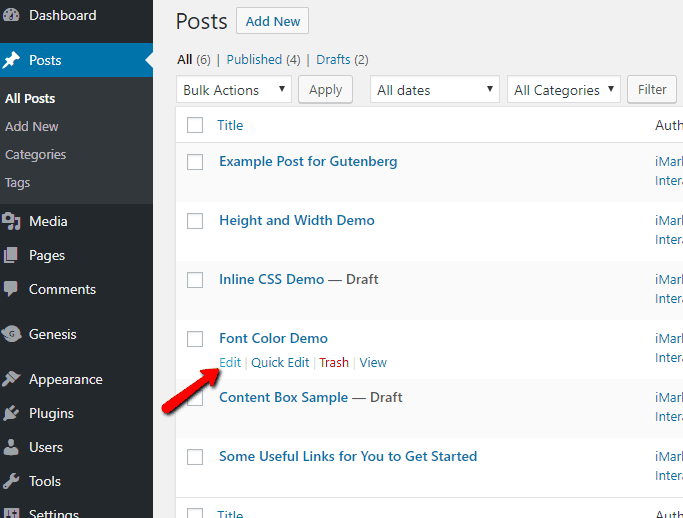 First things first, you will need to go edit any post or page you want to update to Gutenberg. Simply click on Posts > All Posts, then edit the one you want. When you are moving from the old editor to Gutenberg, it will place all of your content into a Classic Block. This looks and feels similar to the Classic editor you are used to. 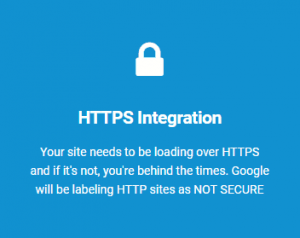 It has the TinyMCE features for headings, links, etc. It is what you’ve come to know (and maybe enjoy) about the editor. You do have the option to just edit your content inside of this block. It works similar, just a big compressed compared to the other editor. In order to convert your old content into blocks, you will simply click the block to edit it. There will be three vertical dots that appear in the upper right of the block. Click this! You will then see the option for Convert to Blocks. You will want to click this and that’s it! You will see all of your content separated into individual blocks, so you can control each one. Yes, I know. It’s really not that hard, is it! We tried to not make this complicated, but if you want to watch a simple video, we have it below. Here is the video we promised you!